In the weekend of April 7th&8th we split up! Carola&Sigmund went to Weekend of Hell in Dortmund and Tristan&I went to F.A.C.T.S. in Ghent. I would have loved to go to Weekend of Hell, but I just had to choose for F.A.C.T.S. (unfortunately it was all in the same weekend). F.A.C.T.S. has its 25th anniversary this year. It all started back in 1993 in "Cafe 't Tonneke" in Ghent, as a small gathering of like-minded fans of the genre. In 1993 there were two tables and 40 visitors. 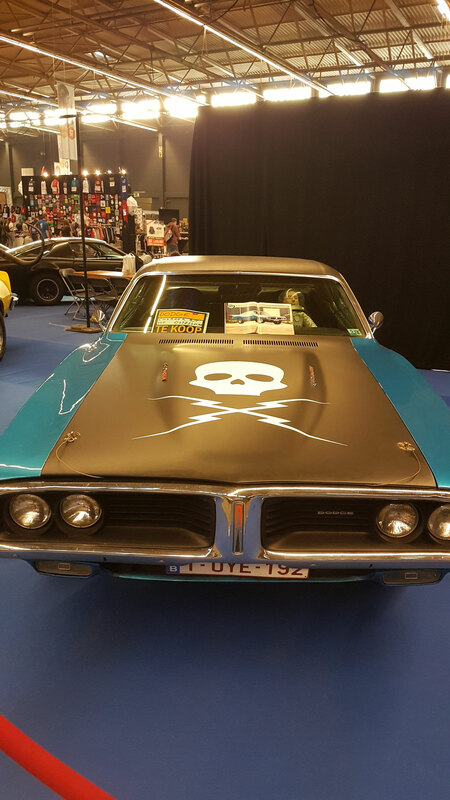 And now 25 years and 30 editions later more than 30.000 visitors made their way to Flanders Expo to indulge themselves with everything related to Fantasy, Anime, Cosplay, Toys and Sciencefiction (F.A.C.T.S); but also in everything related to TV, Movies and Comics. In this article I will do a general overview of FACTS. 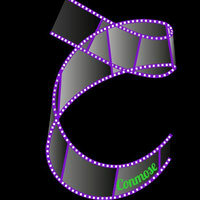 Later on I will of course write about my meetings with the actors and actresses in seperate articles. Talking about that: for this anniversary edition F.A.C.T.S. had an amazing guestlist and I was especially happy with the actor guestlist. But first we had to get there and get in. As you know we live in the deep south of the Netherlands and getting to Ghent in time (without a driver's licence) is quite the struggle on a Saturday morning. We got up at 5.30 a.m. and took the train to Maastricht. From Maastricht we had to go to Liège. 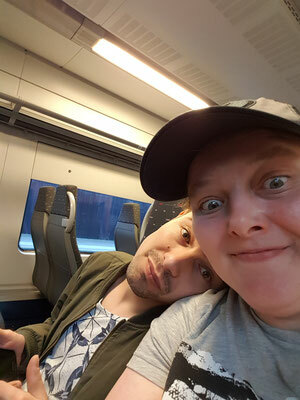 And there we had to get on the train to Ghent. From Ghent Central Station (St. Pieter) you then have to hop on a tram, to get to Flanders Expo. 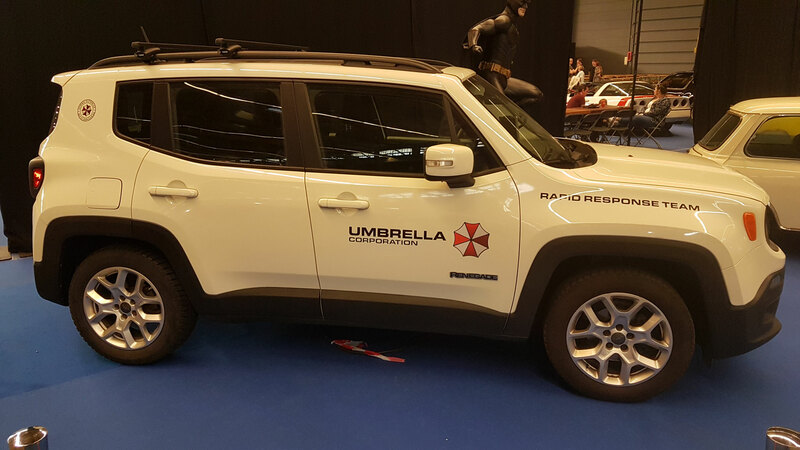 When you buy your ticket for F.A.C.T.S., you automatically get a free return ride to Flanders Expo. 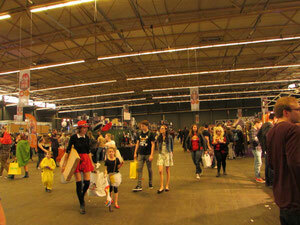 The closer you get to Ghent, the higher the concentration of cosplayers (I love that). When you get to the station you see cosplayers everywhere and they all have to get into the tram. Luckily the city of Ghent is prepared for this and there are extra trams riding to and from Flanders Expo. 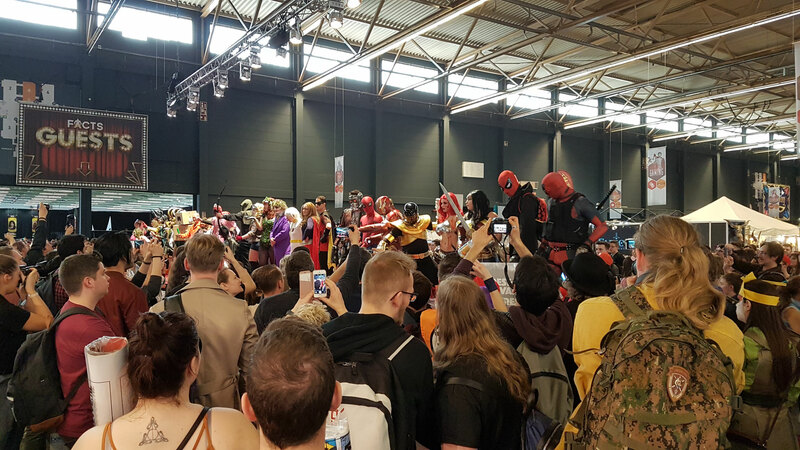 At Flanders Expo the F.A.C.T.S experience begins as you find yourself amidst hundreds of likeminded fans of everything related to movies, tv, comics, anime, cosplay and more. The entrance is located in a big hall, which provides more than enough spave for big masses of people. There are row dividers and even though there are a lot of people, there isn't much standing and waiting. You are constantly on the move and I like that. 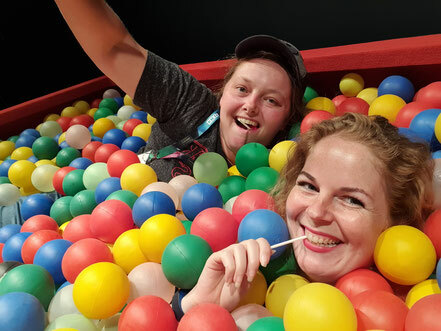 Once you are past the security and tickets check the adventure is ready to begin! 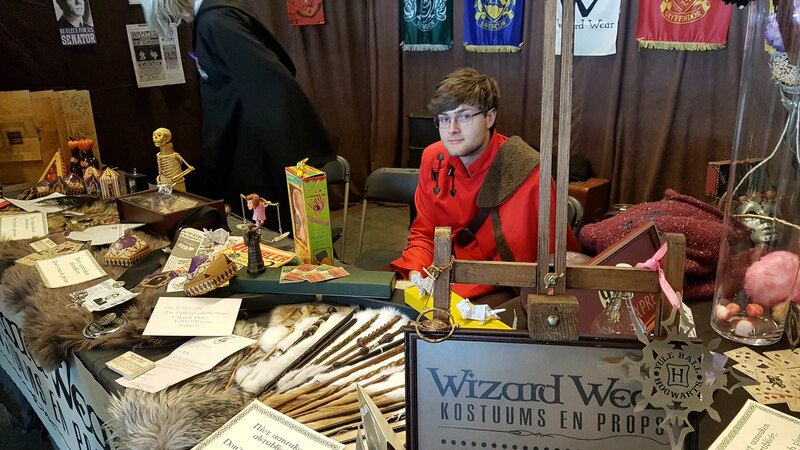 Over the years we visited a lot of conventions in The Netherlands, Belgium, Germany and the UK. F.A.C.T.S. is one of my favorite conventions/comic cons. One of the reasons is that they always manage to put together an amazing guestlist and for this edition they outdid theirselves. Over the past months one after another great name was announced. As Weekend of Hell in Dortmund was in the same weekend, I had to make a choice between the two conventions and one announcement made my choice very easy. When F.A.C.T.S. announced Gillian Anderson , I knew I HAD to go. I have always been a huge fan of "The X-Files" and I never thought I would get the chance to meet the woman behind the legendary Dana Scully. Besides her legendary role in "The X-Files", Anderson also played in other great movies and tv shows, like: "The Fall" (as Stella Gibson), "The House of Mirth" (as Lily Bart), "Hannibal" (as Dr. Bedelia du Maurier) and much more. I did a photo op with Ms. Anderson on Sunday and went to her Q&A on Saturday. "But umm...", Gillian Anderson was not the only name on the guestlist. What to think of the woman that gave a whole new ring to the name "Patrice"? The one and only Cobie Smulders was another big name on the amazing guestllist of this 30th edition of F.A.C.T.S. Most people will know Cobie for her role as Robin Scherbatsky in the immensely popular sitcom: "How I Met Your Mother", which ran from 2005 to 2014. Besides this, the 36-year-old Canadian actress is also known for her role as Maria Hill in the Marvel Cinematic Universe. Up until now, Cobie played this role in: "The Avengers", "Captain America: Winter Soldier", "The Avengers; Age of Ultron" and "Agents of S.H.I.E.L.D." . Furthermore, Cobie played alongside Tom Cruise in "Jack Reacher". She will also reprise her role of Lisa Turner in "Friends from College", which was renewed for a second season. I was really looking forward to meeting Cobie and she was so very cool. Her Q&A's were great and I got her autograph (which turned out to be one of the best meets ever). For this Spring Edition of F.A.C.T.S. Winter came to Ghent. For me "Game of Thrones"is one of the best TV shows ever made and I can't wait for the final chapter of this epic story. Not long before the event, the organisation of F.A.C.T.S. 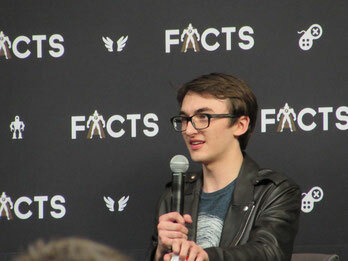 surprised everyone with yet another great guest announcement: Isaac Hempstead Wright. Isaac has been plaing the role of Brandon Stark/ The Three-Eyed Raven in "Game of Thrones" for literally almost half of his young life. He was born in 1999 in Surrey (UK) and started acting at age 11 (he joined the drama club at school to avoid playing football at Saturday morning). He did some small roles, before he was cast for the role of Bran Stark in a show called "Game of Thrones". Little did he know that he would still be doing this 7 years later and the showmwould grow out to one of the most critically acclaimed tv shows ever. I visited both of his Q&A's and did a photo op . Onwards to yet another great show and one of the biggest surprises of the last couple of years. In the summer of 2016 everyone seemed to be under the spell of something "strange". Netflix surprised everyone with the mini series "Stranger Things, which turned out to be a huge succes. The show is set in the fictional town of Hawkins and tells the story about the dissapearance of Will Byers. Last October season 2 hit Netflix and me and my brother binged the whole season on the day of release. And now, at last, one of the actors was announced for F.A.C.T.S. 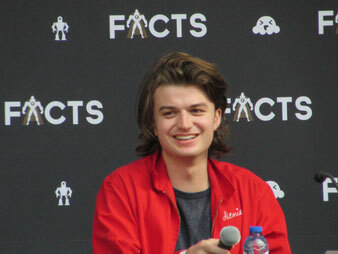 Joe Keery plays the role of Steve Harrington in both seasons of the show. I did a photo op with Joe and visited his Q&A on Sunday. 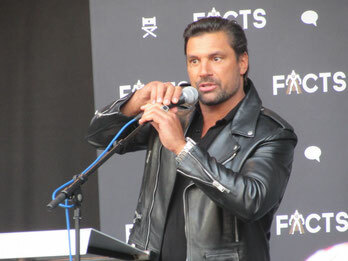 And then there is Manu Bennett. I already met Manu at Comic Con Ahoy in March, so I just visited his Q&A on Saturday. I know Manu for his role of Slade Wilson/Deathstroke in Arrow, but he is known for a lot more than just that. Manu also played the role of Crixus in "Spartacus", Azog in "The Hobbit" and Allanon in "The Shannara Chronicles". At Comic Con Ahoy Manu had his Q&A at the end of the day and instead of half an hour, he took almost an hour for it. At FACTS he had 45 minutes and there was never a dull moment in the Q&A. At one point a little boy asked him a question about Azog and he asked him on stage to tell him about it face to face. And last but not least there is Emilie de Ravin. 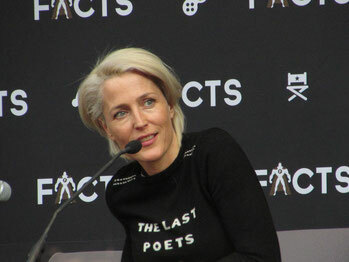 Unfortunately, I did not have the time to visit one of her Q&A's, but I already attended her Q&A at Heroes Dutch Comic Con, one week earlier. Emilie is mostly known for her roles in "Lost" (as Claire Littleton) and "Once upon a Time" (as Belle). At HDCC she seemed really nice and Carola did a photo op with her. At F.A.C.T.S. I only saw Emilie, when I was in line for the photo op with Joe Keery. 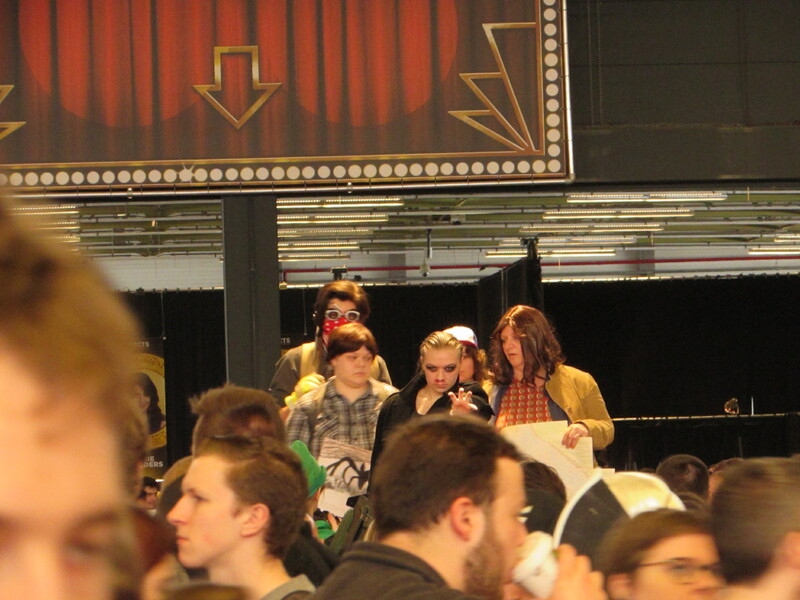 Emilie had her Q&A at that time and had to go through the line to get there. As for the Q&A's I can be pretty straightforward. I love everything about the Q&A's at F.A.C.T.S.! Well maybe not everything, but I will get to that in a minute. First of all, the Q&A's are held in an area separate from the convention floor. What I love about this, is that there isn't any background noise from the convention itself and you can perfectly hear everything that is said. The guy leading the Q&A's is Mark (we interviewed him and that article will be up very soon). Mark has a lot of experience in leading the Q&A's at F.A.C.T.S. ; he has been doing it for over 20 years now. All this experience makes him the perfect guy to warm up the audience and the guest for a great experience. The light in the room is also very good, because of the large glass ceiling. This brings me to the only down point to the Q&A room. While the glass ceiling, provides great natural lighting, it also gets the room temperature up on sunny days. There were moments when I felt like I was sitting in the fires of Mordor. Well maybe I'm exaggerating, but it was pretty hot in there. So always be prepared and take some water with you in there. Cosplayers love F.A.C.T.S. and F.A.C.T.S. loves cosplayers! Although I am not really interested in Cosplay, I do like to see the great creations that other people made. And at F.A.C.T.S. there are enough opportunities to show off your costumes. First of all, there is a discount entrance ticket for Cosplayers, so creativity pays off. 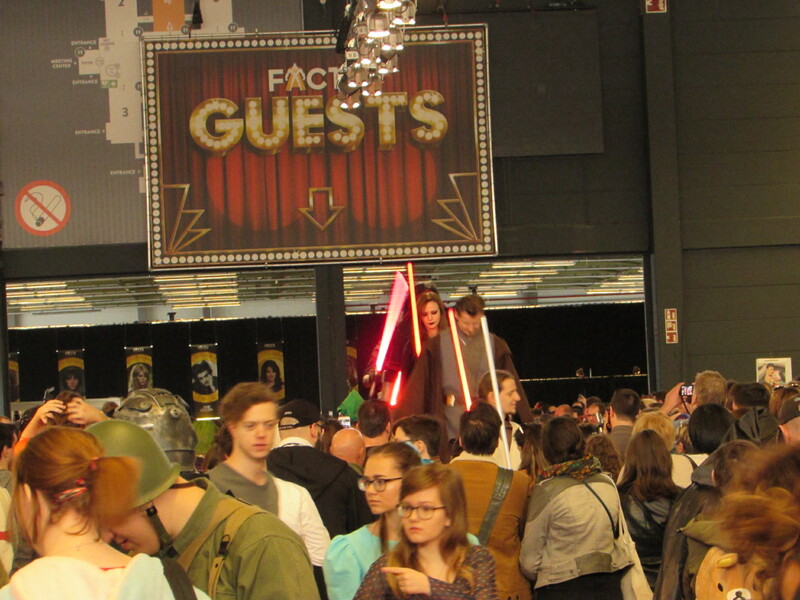 Smack in the middle of F.A.C.T.S, there is a large catwalk, especially for Cosplayers. 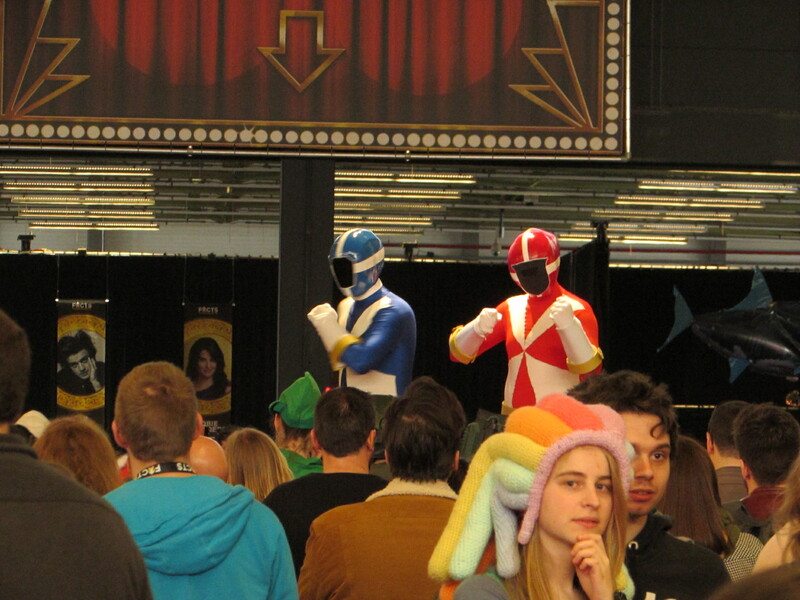 At set times, all the different genres of Cosplay (Sci-fi, Fantasy, Manga/Anime etc.) get the opportunity to get on the catwalk and show their creations to everyone. The Dealer Hall at F.A.C.T.S. is filled with all kinds of great stands to get the shirts, Funko Pop, toys, art and props you always wanted to have. And there is a lot more. Although over the years the amount of smaller shops decreased and the larger companies are taking over the floor. For me that is not really a big problem, but Tristan (and a lot of other people are kind of worried about that). It also seemed like there were less stands than other editions, but maybe the setup is just different. For this edition, I took the time to walk the floor with Tristan and I bought some very cool things (some shirts at Cool2U and Legend Icon and some DVDs). Tristan bought some great PlayStation games. 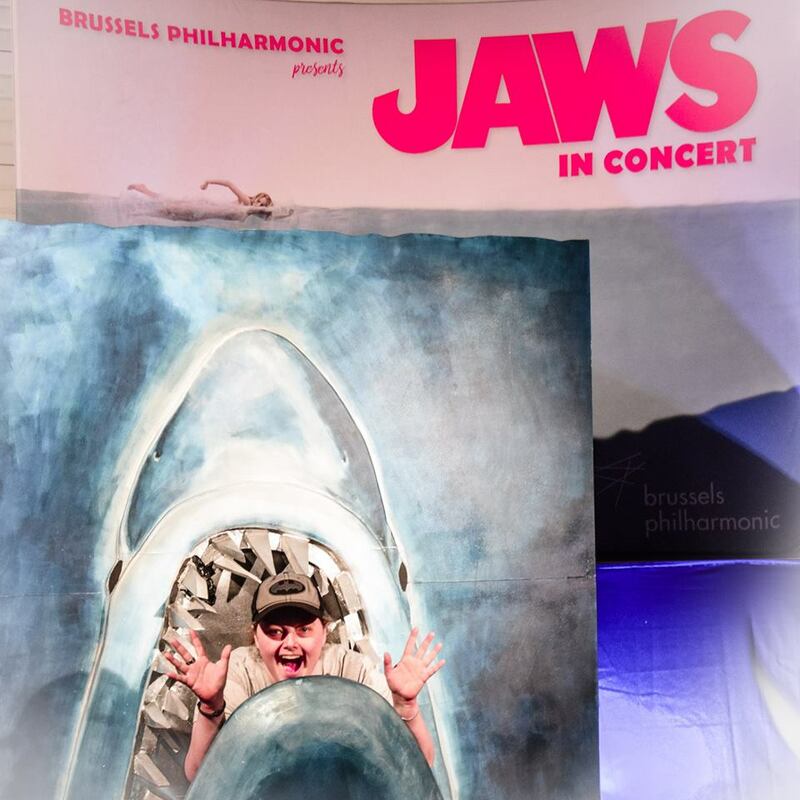 In September 2018, The Brussels Philharmonic will bring "Jaws in Concert" and to promote this event they had a stand at F.A.C.T.S. (last Spring they were there to promote "E.T. in Concert"). 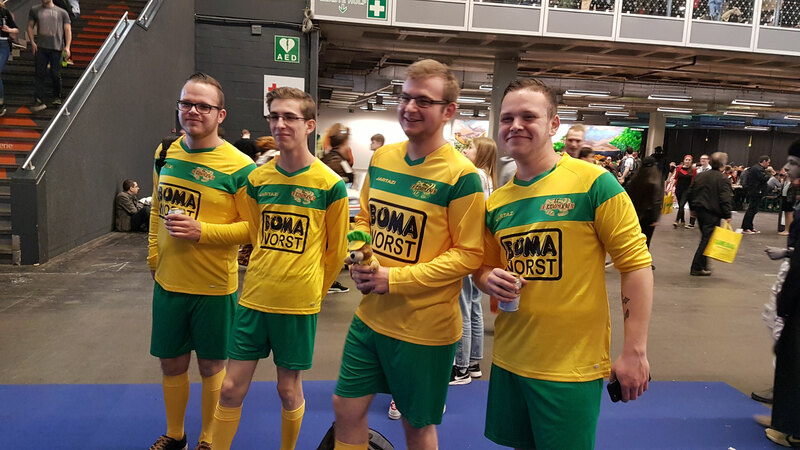 You could take a picture at their stand and they would place it on their Facebook page. By liking and tagging yourself in this picture, you could win tickets for the concert. There was also an "Avengers" stand where you could take a picture and all of the pictures made were used to make up the movie poster for the new Avengers movie: "Infinity War". 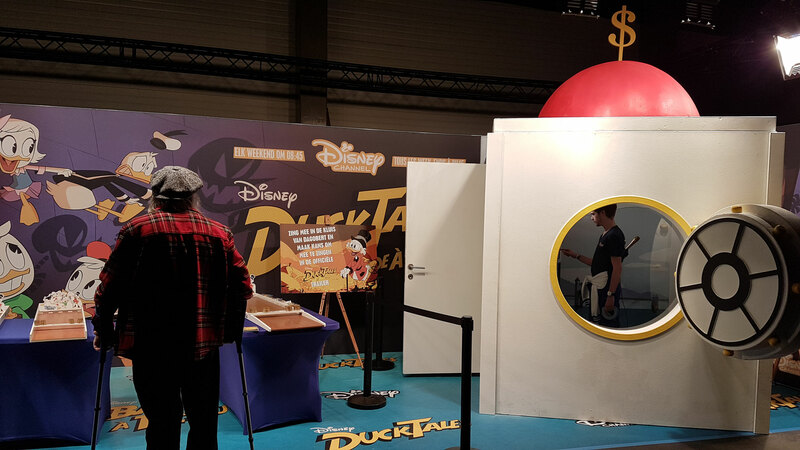 Besides this there was a "Ducktales" stand and there were some very cool movie cars. The "Make a Wish" Foundation was also present. 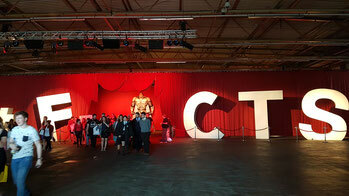 In return for a small donation for the charity, you could sit in their Batwing (with smoke effects) and take a picture. Of course, there were also a lot of Costume groups for Star Wars, Harry Potter and a lot more. You could take a picture with a Stormtrooper or choose your favorite house (which is of course Gryffindor). And then there was "The Beast 2.0". 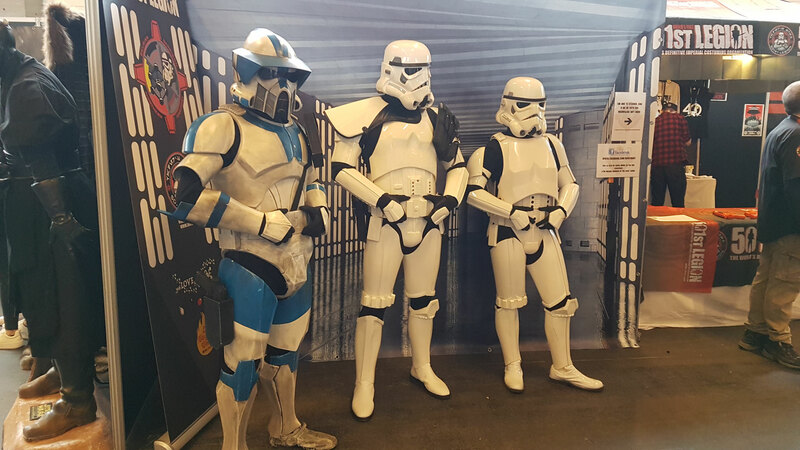 In 2017 the visitors of F.A.C.T.S. 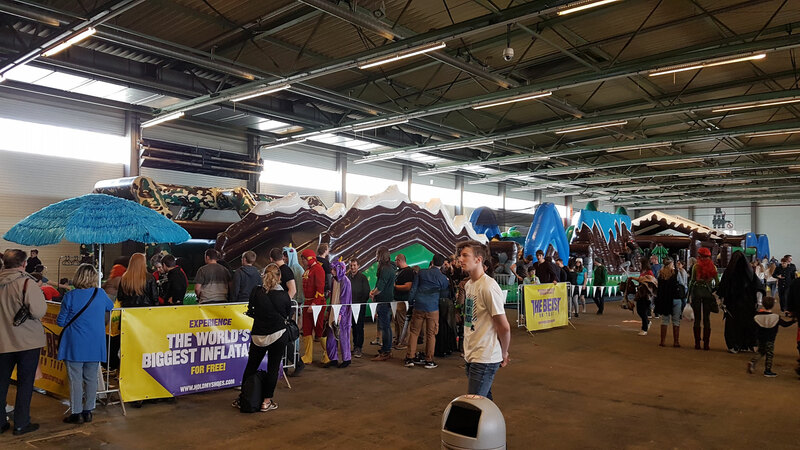 could take on "The Beast"; the world's largest inflatable bouncy castle and now it was back and it was better than ever. I saw a lot of people have a lot of fun on it, but unfortunately the queue was too long and the time to little. Well let's just say you won't starve at F.A.C.T.S.! 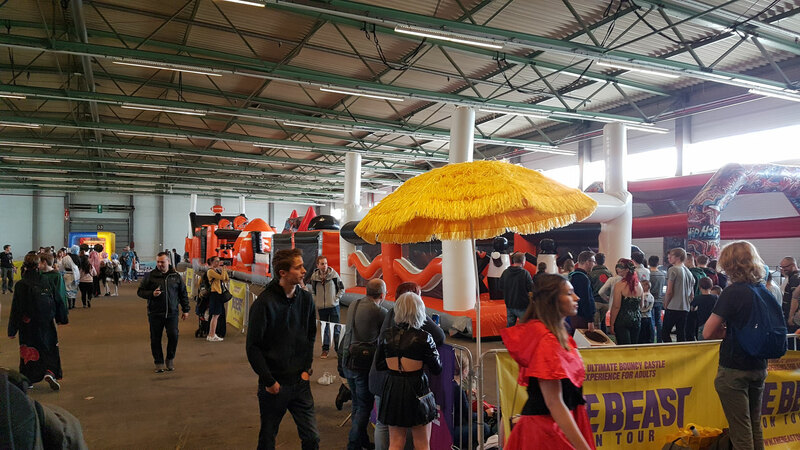 There are a lot of places to get food and drinks in Flanders Expo and outside in the smoking areas. Of course, the prices are high, but that is no different at other events. 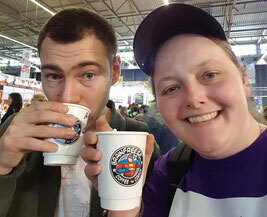 I would like to highlight one stand and that is "Brainfreeze-Coffee and Comics". This is the only place to be if you want to have a nice and affordable cup of joe! 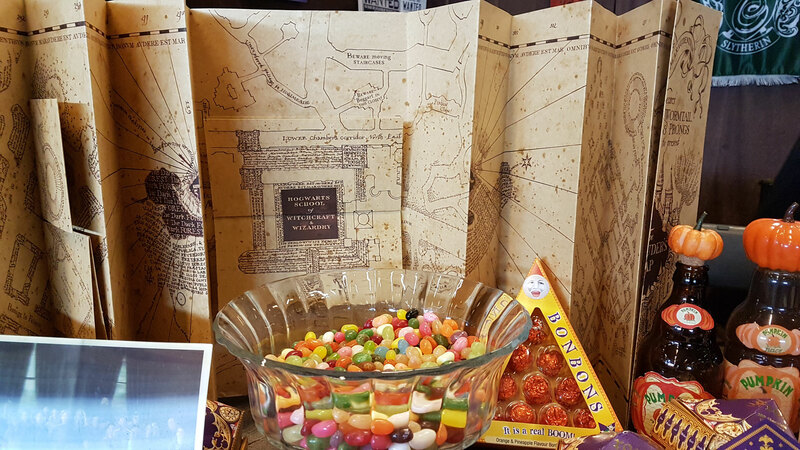 All the places where you can get food or drinks are highlighted on the floorplan, so you don't have to go on a quest for food! 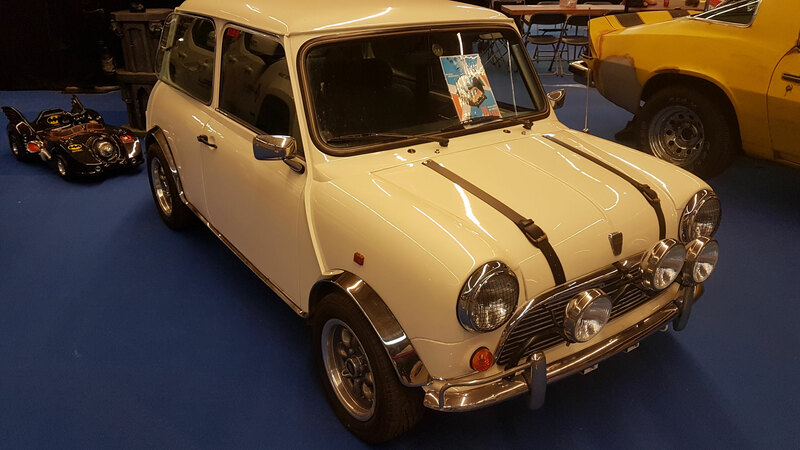 This was the anniversary edition of F.A.C.T.S. and I certainly hope there will be a lot more anniversaries in the future, because I just love F.A.C.T.S.! Keep up the good work!